George Percywas born in England in 1580. In 1606 he joined John Smith in an expedition to colonize Virginia. Percy served as deputy governor (1609-10). 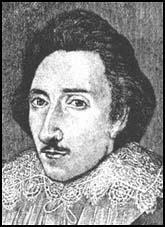 Percy returned to England in 1612 and later wrote two books about his experiences, A True Virginia and A Discourse of the Plantation of Virgina. It is believed Percy died in 1631.